Spray and 8x8 inch baking dish with cooking spray. In a large bowl, combine all ingredients (except toppings) and mix well. Cut into squares. Place into serving bowl. 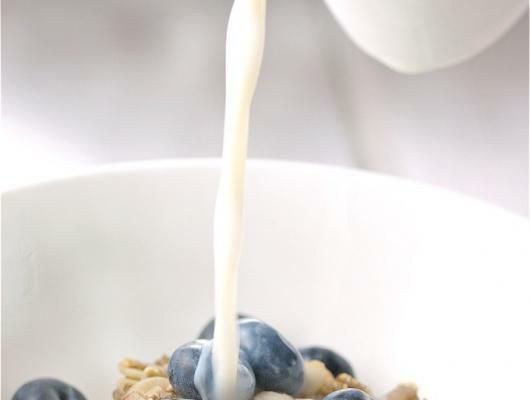 (optional) Serve with additional milk and fresh berries. 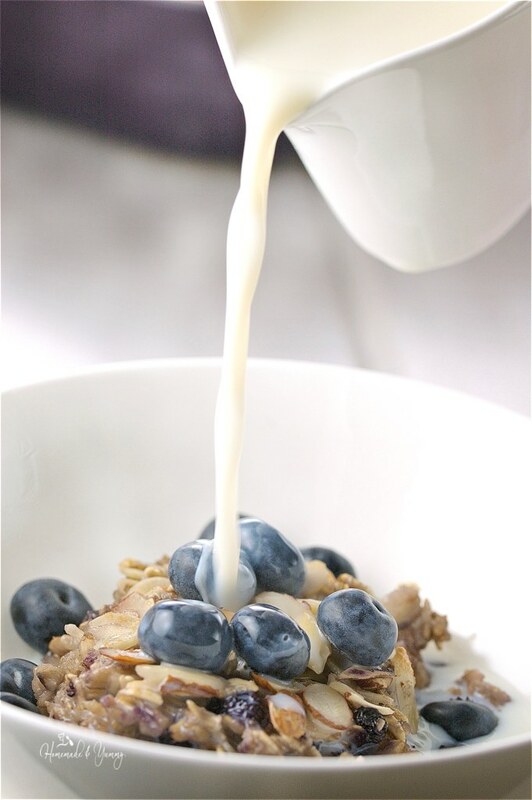 Blueberry Oatmeal Breakfast Casserole with Maple & Almonds is packed with flavour and nutrition. Easily made gluten free and dairy free.